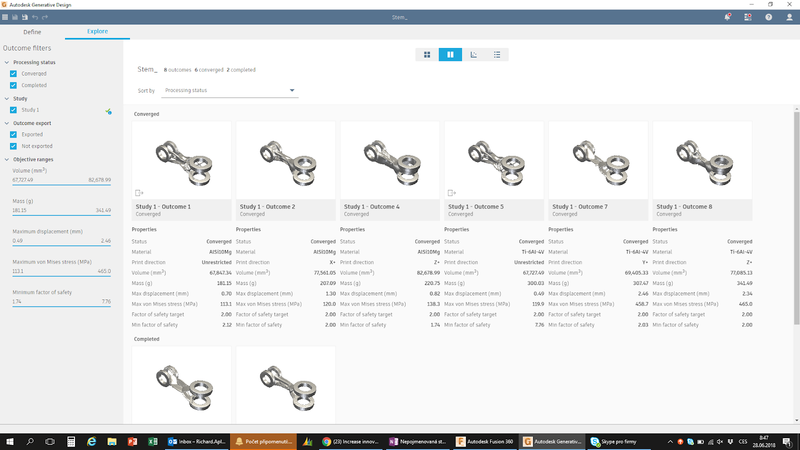 What does generative design do? 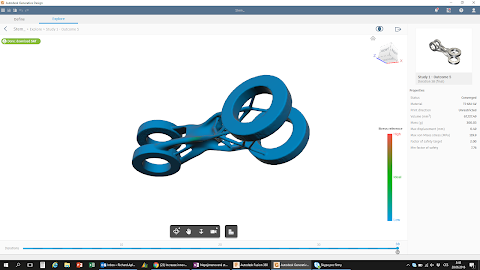 Autodesk has been a pioneer in a rapidly evolving field of ​​so-called generative design for many years - of a new design process in which you only enter the input requirements of the design, not its particular shape and material - and the computer then designs different shapes, analyzes them, creates and recommends the optimal shape of the designed part, meeting the given requirements (e.g. its strength, power transferred, load capacity, etc.). 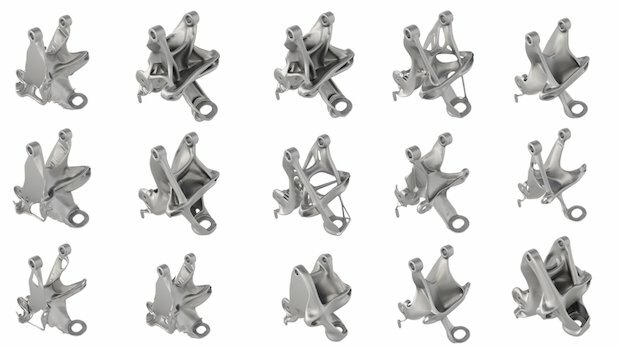 Combined with additive manufacturing (3D printing), generative design represents a revolutionary path for accelerating innovation design processes and for a significant leap in improving performance of existing products and creating entirely new product types of unprecedented, organically-looking shapes. The influence of generative design on the changing world of engineering design and menufacturing, including examples of its real deployment in the world, is described in a managerial overview of what's next in manufacturing (future of making things, FOMT) - see the series on our Czech blog Inventor guru and see the page cadstudio.cz/jaksemenivyroba (what's next in manufacturing). Autodesk has been offering generative design tools (do not confuse with just a plain shape optimization) for a long time - from "technology previews" like Project Dreamcatcher to real-life products like Autodesk Within, Autodesk Netfabb, and the recently released Generative Design (GD) for subscribers of the popular CAD/CAM/CAE application Autodesk Fusion 360 Ultimate. 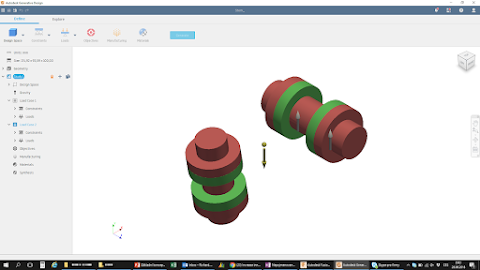 Customers are often asking us to test and verify capabilities of generative design in their design practice - and here are some of the results we have helped them to produce from their supplied traditional 3D models. 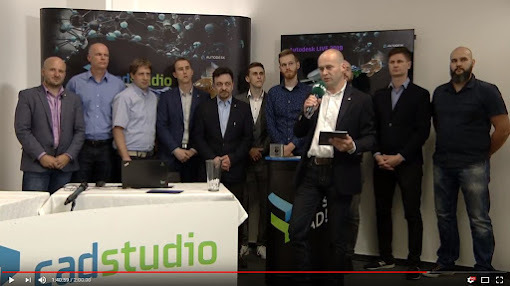 One week ago, on April 24th, CAD Studio organized a large spring online conference - "Autodesk LIVE 2019". 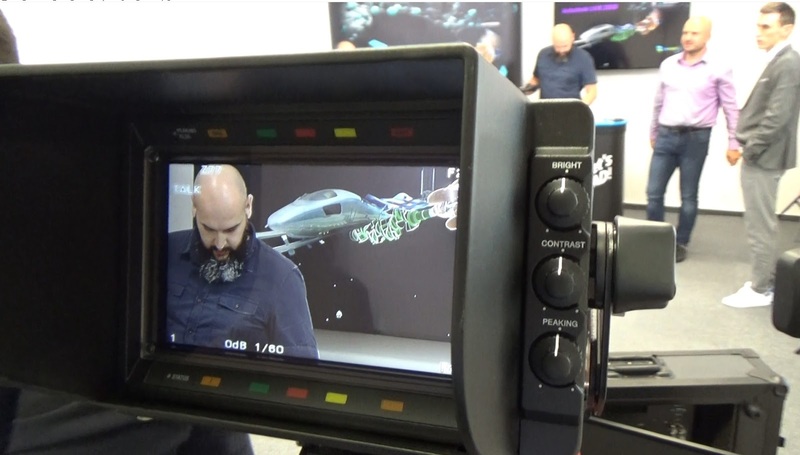 During this interactive public video stream, we introduced the new Autodesk 2019-family software products, plus complementary add-on applications from our own development. The morning conference-session was focused on manufacturing, the afternoon session on architecture, construction and BIM technology. The audience's interest in the news about CAD, CAM, and BIM applications was reflected in a high number of registrations for this event (over 530) and above all in the number of viewers - a total of 1,325 unique viewers (devices) joined the broadcasted video stream, from all parts of Czechia and Slovakia. 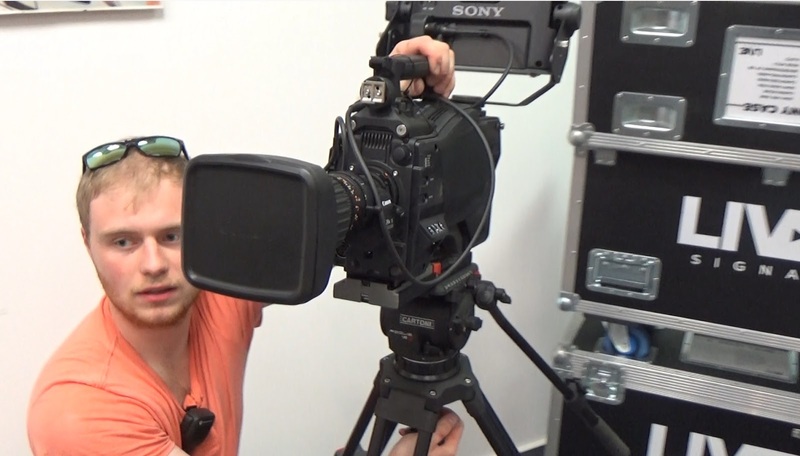 The whole live broadcasts was performed on the YouTube platform. 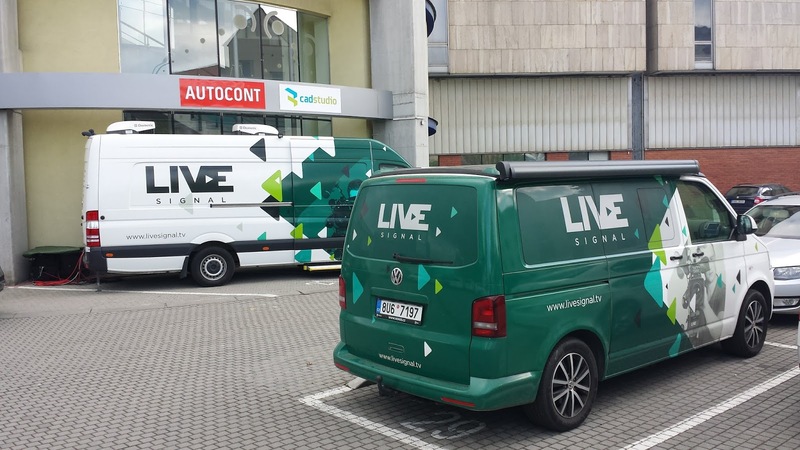 A professional quality of the broadcasted stream in full-HD resolution was technically provided by Livesignal.tv, a complete setup with a transmission wagon and 3 cameras. Total broadcast time of the event exceeded 5 hours. 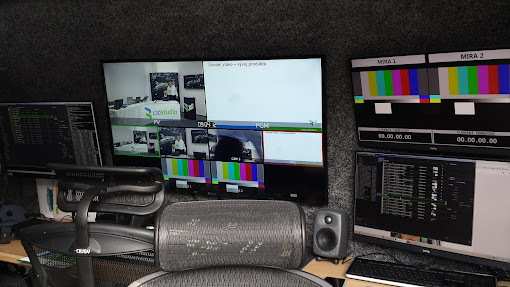 During the event, viewers have sent over 150 queries (and praises, thank you) to the individual presentations - both public chat and private chat boxes were available. We hope that we have succeeded in answering all your questions - either directly in the broadcast during the presentations, or directly in the chat box, or in the final round table Q&A session. 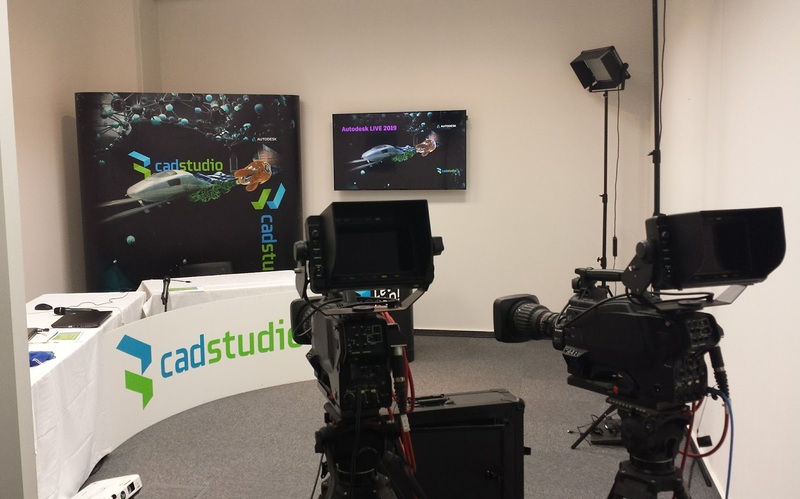 If you have any additional questions, just keep asking - the chat window is still accessible on www.cadstudio.cz, or you can use the public discussion forum available on our CADforum.cz portal. At the end of the broadcast, the winner of the Garmin Vivoactive 3 smartwatch was drawn up - their new owner is Mr. Ľubomír Pápay. Congratulations! For registered users (both participants and new entrants), a video archive of all presentations from Autodesk LIVE 2019 is available on the event's homepage - see www.cadstudio.cz/live2019. 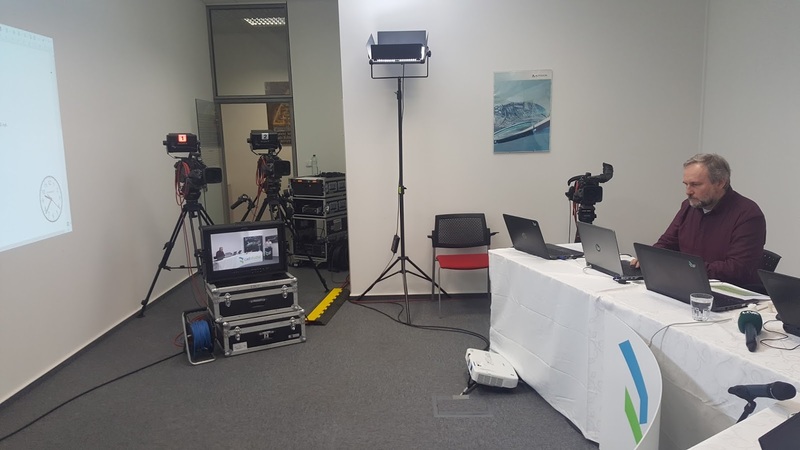 How we prepared the Autodesk LIVE 2019 event? The newly released AutoCAD 2019 (aka "One AutoCAD", "AutoCAD including specific toolset") brings a substantial change in licensing. AutoCAD subscribers now get also all functions and libraries from the 7 industry-specific AutoCAD verticals - i.e. Architecture, Mechanical, Map 3D, Electrical, MEP, Plant 3D and Raster Design (except Civil3D, which is renamed from "AutoCAD Civil 3D" to "Autodesk Civil 3D"). This unification is not available for Maintenance customers, but they can get it through the discounted "Move to Subscription" program (M2S). 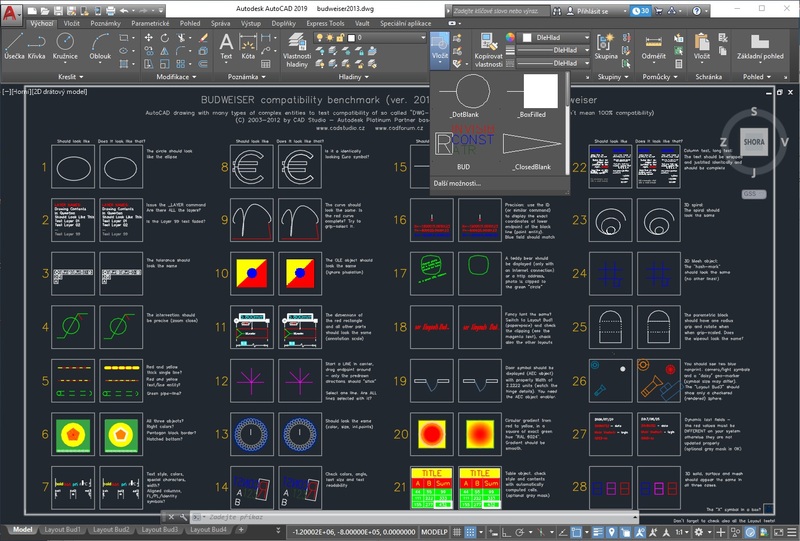 See also One and only AutoCAD 2019 (in Czech). What other features are included in the 2019 release? 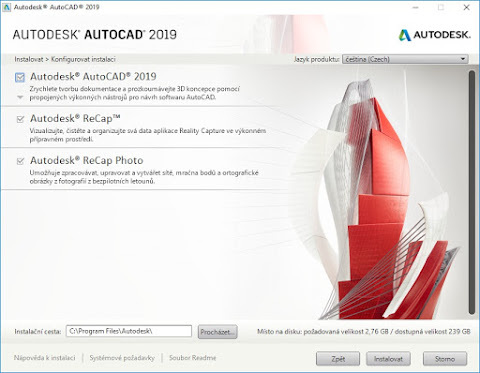 You can download AutoCAD 2019 from your Autodesk Accounts or from cadstudio.cz/trial and try it yourself. The first change relates to the volume of downloaded data. If you don't use the online progressive download method ("Install Now"), but rather download the full installation image ("Browser Download"), you may notice that the AutoCAD installation file size has changed. While e.g. AutoCAD 2018 in 64-bit version represented a 2.5 GB installation file, the AutoCAD 2019 installation archive takes only 1.8 GB. But there is nothing substantial missing in the installation, the reduced volume was achieved by better compression algorithms. The 2019-version also puts more precise demands on the operating system. It supports Microsoft Windows 7 SP1 with KB4019990 (32/64-bit), or Windows 8.1 with KB2919355 (32/64-bit), or Windows 10 Anniversary Update (version 1607 and higher, 64-bit only, not 32-bit! ), or as usually the virtualization environment of Citrix XenApp 7.6 and XenDesktop 7.6. 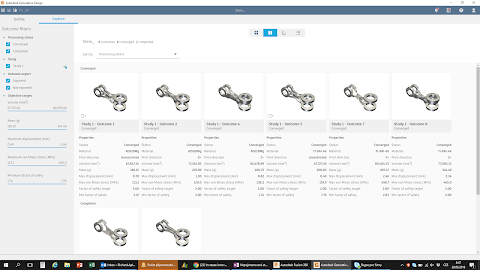 Significant improvements have been made to the AutoCAD web version. For the first time it is possible to edit AutoCAD DWG files without any software application, just in a plain web browser (Chrome). Just go to web.autocad.com and log-in with your Autodesk ID. Web-based AutoCAD uses a large part of its application core (C++) common with the classic desktop AutoCAD. The license to AutoCAD web app is included in AutoCAD and AutoCAD LT subscription. Similar features are available also in AutoCAD mobile app which you can use to edit (online and offline) your DWG drawings on your tablet or smartphone (Android, iOS, Windows). The first new feature in 2019 is related to the web and mobile versions - opening and saving DWGs "to web" - i.e. specifically for the web and mobile AutoCADs. On its first use, this function performs an automatic download and installation of a small add-on from Autodesk Apps. 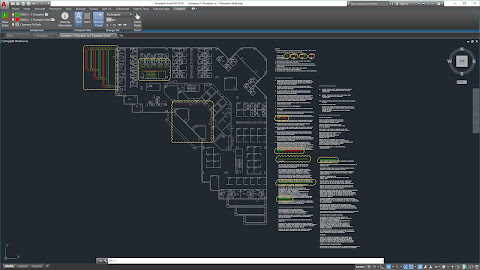 The largest new functionality in the 2019 version is drawing compare - comparing the contents of two DWG files (their revisions). The command COMPARE offers very detailed and convenient options to find, highlight and browse all differences between two DWG drawings. Another useful new feature is Shared Views. 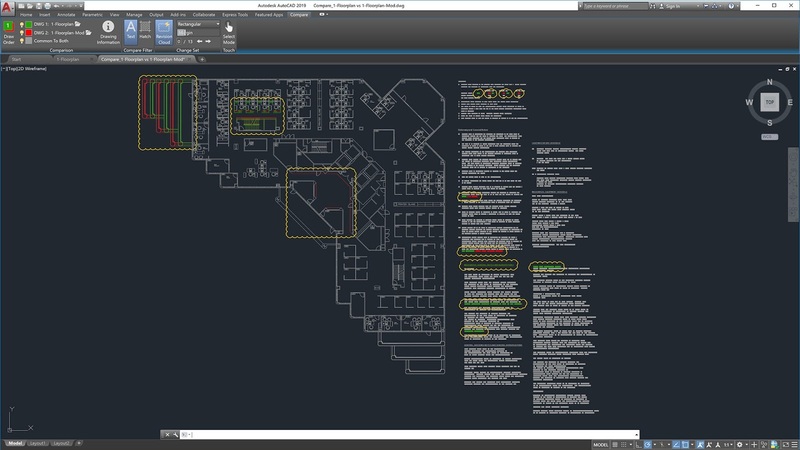 With this function, you can easily distribute, collaborate, comment and review your drawings with colleagues or customers, without the need to pass the original DWG file. It also eliminates the inconvenient publication and sharing of PDF files. These new methods of collaboration represent a radical change over today's commonly used ways, allowing to save a lot of time in team communication on projects. A similar feature is already available e.g. 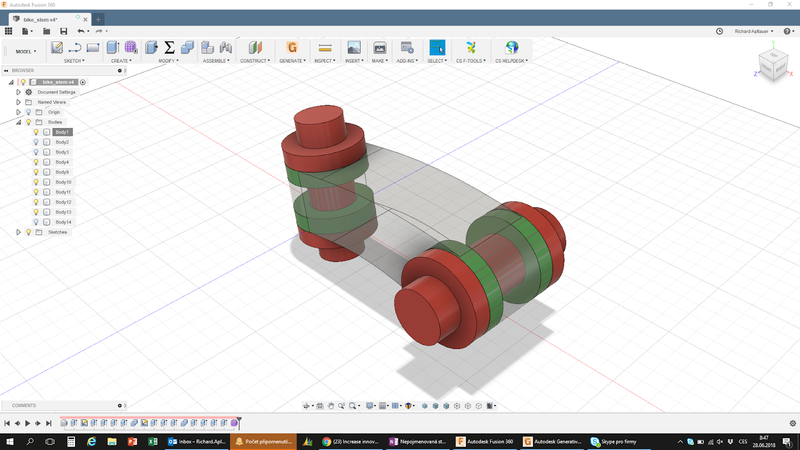 in Inventor. Graphical performance of AutoCAD in both 2D and 3D has significantly increased thanks to the optimization of display methods and the use of a modern graphic subsystem DirectX 11. More legible icons and enhanced dialogs also support high-resolution displays (4K, up to 3840x2160 pixels). Version 2019 also contains a number of minor improvements (some already in the update 2018.1), such as inserting named views as viewports, view galleries, grip-editing of viewport scales, overriding layer properties (xrefs), selecting objects outside their visible part. Also included is a new version of ReCap 5.0 (3D scanning and point clouds) and ReCap Photo 19.0 (formerly ReMake). For multi-user (NLM) licensing, an updated Autodesk License Manager 2019 version 11.14.1.3 is used (see our Download page). On the other hand, in AutoCAD 2019 have disappeared the A360 and Design Feed functions, which were replaced by "save to web" and the Shared Views, and the (limited) FBX import/export functionality (FBXimport/FBXexport; for full processing of FBX files, 3ds Max is recommended). The industry-specific functions are not available on MacOS. A new way of license check of student versions of DWG files (watermark) returned in 2019, and student's drawings can also be identified by the new variable STUDENTVERSION. The subscription price for the combined "One AutoCAD" has increased by about 7%. Users of the existing versions can either continue to upgrade their original standalone versions or upgrade to the extended "One AutoCAD" (without any price change for the rest of their subscription term). European pricing of AutoCAD 2019 including specific toolsets can be found on our CAD eShop. 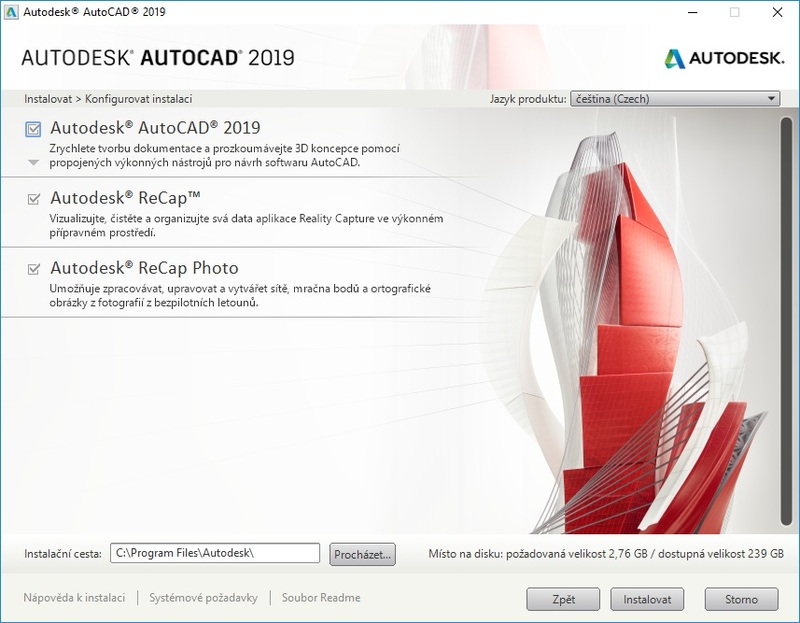 More information about the new release (review guide, videos, trial) can be found on AutoCAD 2019 (in Czech). The CADforum portal lists all new commands and variables in the version 2019. The most popular social network - Facebook - started to support publishing of live, interactive 3D content directly in "wall" posts in user profiles and company pages. 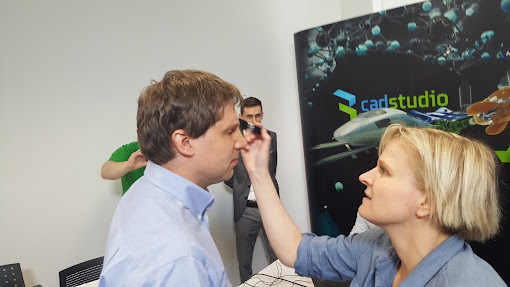 This new function has currently a number of limitations, but it generally allows to publish simpler 3D models to explore in desktop and mobile Facebook clients, including virtual reality (VR/AR). Facebook uses a simplified format glTF 2.0 (developed and maintained by the Khronos Group) to display 3D content - see glTF (.glb; .gltf). 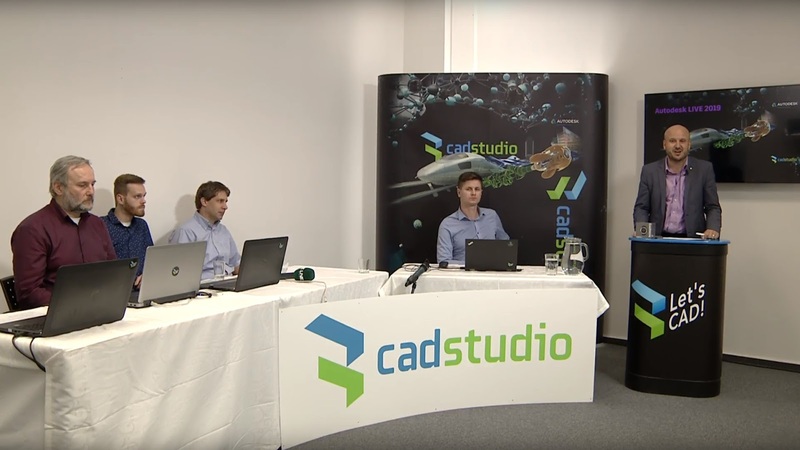 This format can be saved from a number of software applications, but professional CAD tools currently do not support it. 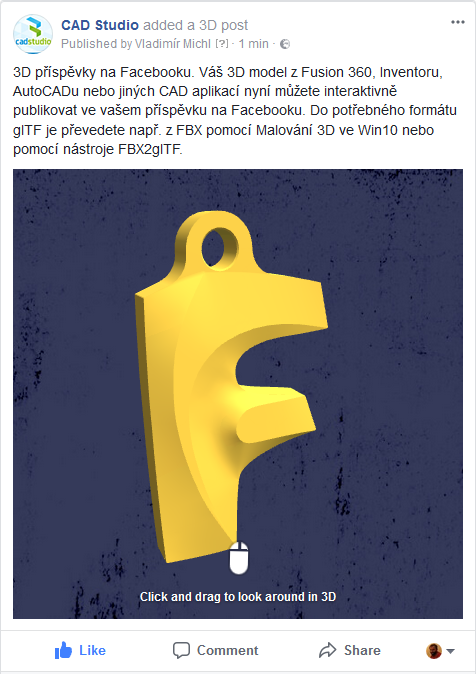 That's why you need to employ conversions to publish CAD models to Facebook - the best way is over the Autodesk FBX format, or over one of the mesh formats, e.g. OBJ or STL. The easiest method for publishing 3D models from AutoCAD, Autodesk Inventor, Fusion 360, or Revit is the export to FBX or STL and subsequent conversion to a .glb file using the embedded application Paint 3D available in Windows 10. To place a GLB file (model) to your post on Facebook, just mouse-drag the file to the new post window (editor) and optionally adjust the background color for the displayed model. You will need to use a web browser supporting WebGL, e.g. Chrome or Firefox (or Android FB-client). The maximum size of your GLB file is limited to 3MB, so you cannot publish more complex models (and any typical model from the BIM application Revit will hardly go through). Model textures should be in JPG, up to 2k. Any reader then can freely rotate and explore the published model. You can also publish your glTF models in VR Spaces. Got an interesting CAD 3D model published on your Facebook? Make yourself heard and send it also to our CAD Studio FB page.